Many Maine businesses want to lower their operating expenses. A commercial solar energy system is a great way to cut energy bills and create greater energy independence. With the unpredictable cost of fuel, a fragile electric grid, and the state of the economy, it makes sense to create an energy strategy that provides a brighter, more secure future. Solar PV is a proven technology that uses reliable equipment to offset some, most, or all of your business’s electricity use. Sundog Solar has installed solar systems on farms, office buildings, schools, and a car dealership. a dollar-for-dollar tax credit off of federal taxes owed which is more lucrative than a tax write-off. Solar businesses can also take advantage of accelerated depreciation for 85% of the system cost over a six-year period. These solar energy tax incentives can slash the total of the system. 1,000 watts per square foot. That’s how much of the sun’s power strikes the earth every hour. Maine receives a yearly average of 4 hours of sun each day. 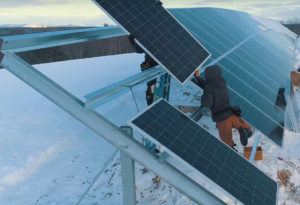 When you consider that Germany averages 3.5 hours of sunlight each day and that they are a world leader in solar integration, Maine is perfect for solar energy! 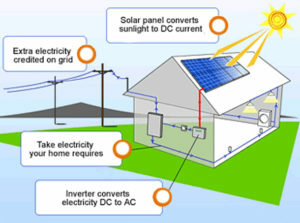 An inverter, which changes DC to AC (alternating current) power. AC power is what is used in most homes and businesses. The DC current in each of the cells is combined into one central circuit. DC power can be used in many mobile applications such as in an RV, boat, or to charge solar batteries. Houses and businesses use alternating current (AC) electricity. 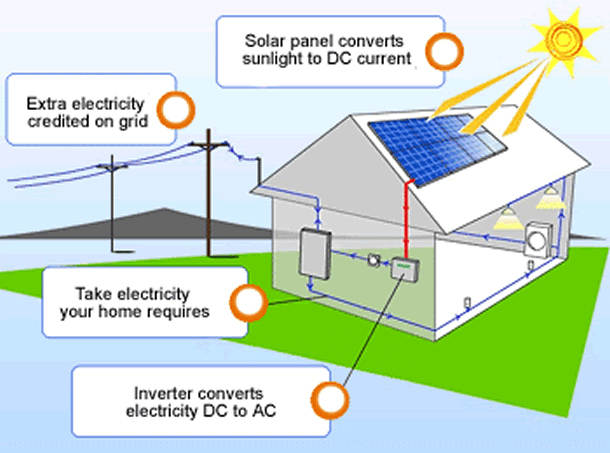 Once the power is converted by the inverter, it can then be used by appliances, lights, and electrical devices. With these basic components, you can generate electricity and feed it to your circuits. Then, the system sends any excess electricity back to the grid for credit on your energy bills. The Sundog Solar team installs some of the best solar equipment on the market, including Canadian Solar, Hanwha Q-cells, LG Solar, Solaria, SolarEdge, SMA, Silfab, Pika Energy, REC, Enphase, and SMA Sunnyboy products. Our solar panels, inverters, and components have long warranties to protect your investment. Sundog Solar has a highly-trained team including NABCEP-certified solar installers and licensed electricians. 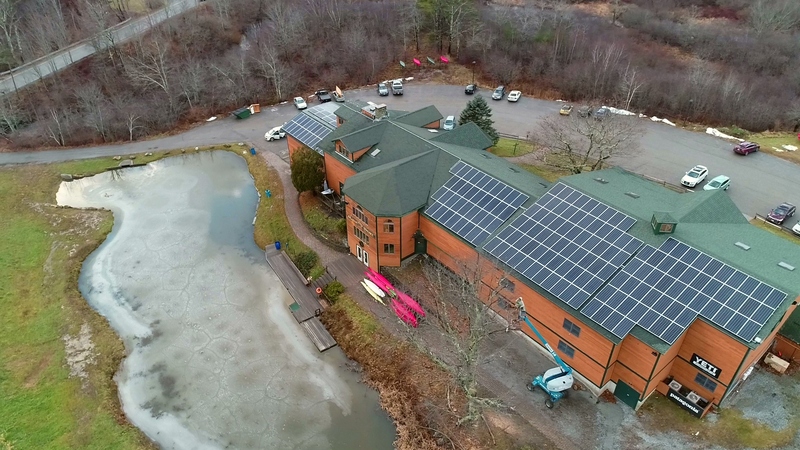 With years of commercial solar energy experience, Sundog Solar has an excellent reputation for giving each commercial solar project the time and attention it deserves. From Rockland to Augusta, Camden, Bangor, Ellsworth, and beyond – we are helping businesses slash their energy costs while benefiting the environment. 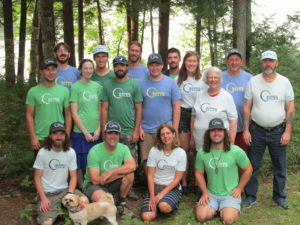 The Sundog Solar team uses innovative and reliable solar panels and equipment by SMA, Pika Energy, LG, Schneider Electric, Solaria, REC, and SolarEdge. We work as a team to truly exceed customer expectations and get every commercial solar energy installation done right!